A Houthi drone attack has killed at least five Yemeni soldiers and wounded several senior officers from the Yemeni army in an attacked aimed at senior officers. The casualties includes the country's chief of staff, a government official said. 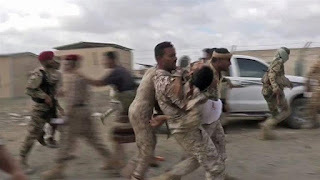 Thursday's attack on a military parade at the al-Anad military base wounded at least 20 military personnel, the official said, including Mohammad Saleh Tamah, the head of Yemen's Intelligence Service, Mohammad Jawas, a senior military commander and Ahmed al-Turki, the governor of Lahij province. 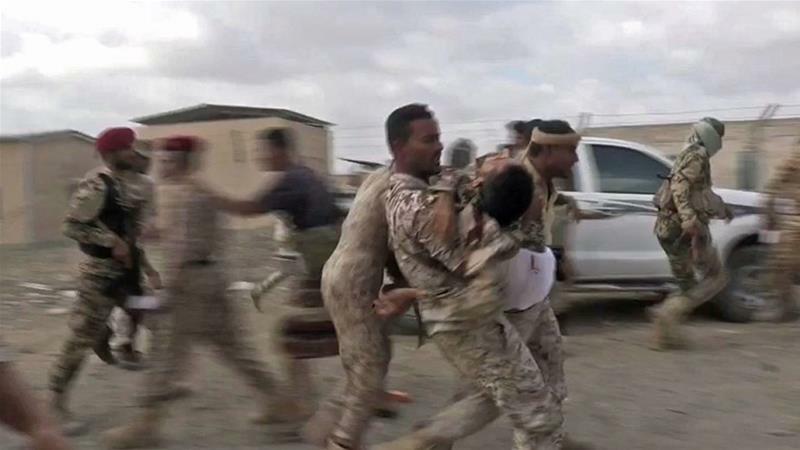 Abdul Guddoos al-Shahari, a spokesperson for the Houthis, told Al Jazeera that the Yemeni army's chief of staff, Abdullah Al-Nakhee, was also wounded in the attack. "Our intelligence intercepted communications between the enemy commanders in which they mentioned that the chief of staff was wounded," al-Shahari said. He added that drone carried between 70 and 100 kilogrammes of explosives, and was detonated while flying over the main stage of the military parade after an "accurate surveillance of the enemy commanders' movements". Abdul Malik Al-Houthi, the leader of the Houthi movement, had announced a strategy of using drones and ballistic missiles in 2017. The group is at war with a Saudi-UAE-led coalition which began its military campaign in Yemen in March 2015, after the Houthis overran the capital, Sanaa, in 2014. Since 2017, the rebels have launched several ballistic and drone attacks on neighbouring Saudi Arabia and forces in the country loyal to the Yemeni government. The Houthi aligned al-Masirah TV network also confirmed the assault, adding it was targeting "invaders and mercenaries". However, a senior official from the Yemeni army tried to play down the injuries, saying the drone exploded a "far distance and did not hurt anybody" "We are all safe, our situations is good and our health is good," General Thabit Jawas said in a widely circulated video. However, videos circulating on social media appeared to show that the explosives detonated just metres above where Yemeni officials were seated, and in one video, an Yemeni officer appeared to be bleeding profusely from his torso. The attack comes just a day after the UN Envoy for Yemen, Martin Griffiths, told the Security Council that a peace agreement in Sweden last month had brought a considerable de-escalation to the conflict. Under the agreement, the first significant breakthrough in peace efforts since the war erupted in 2014, the Houthis were expected to withdraw from the strategic port city of Hodeidah and ease the siege on the southwestern city of Taiz. The rebels said they would halt all drone and missile attacks, but tensions have risen recently over how to implement the UN-sponsored peace deal. Both sides have accused each other of violating the agreement, and shortly after Thursday's attack, fighter jets began hovering over the skies of the rebel-held capital, Sanaa.